When it comes to signing a lease for Greenville commercial real estate there is a lot to understand. Take the time and familiarize yourself with some of the common components of leasing Greenville office space. This section of a commercial lease will clearly state what you are leasing. It will include information such as the usable square feet and the rentable square footage. The commercial lease term will state the length of time you are leasing the Greenville commercial real estate for. This will also clarify questions on what rights your company will have when it comes to renewing. Some leases automatically renew unless you speak to the landlord, while others give you a certain period of time to tell your landlord you are moving out. The security deposit is collected up front for any potential damages that could happen. The amount can vary but is usually one or more month’s rent. This section of the commercial lease will address what money is available for improving your commercial space prior to moving in. 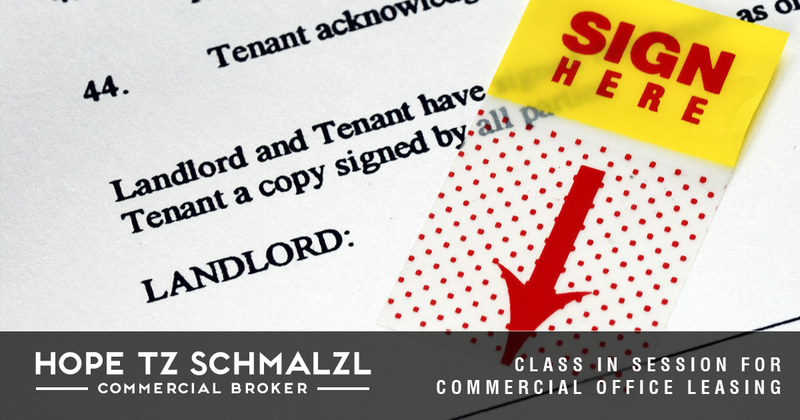 Use clauses in your commercial lease will tell you what business practices are permitted and not permitted in the commercial space you are leasing. It is important that you make certain that none of the restrictions will interfere with your day to day business operations. This section of the commercial lease will dictate if it is possible for you to lease all or part of your space to another tenant if you do not need all of the space. Greenville commercial real estate leases are negotiable so make sure you are up-to-date on what to look out for. Contact Hope Tz Commercial, your Greenville Commercial Real Estate Broker today at (864) 630-0352 or email to learn more about Greenville commercial real estate for lease.